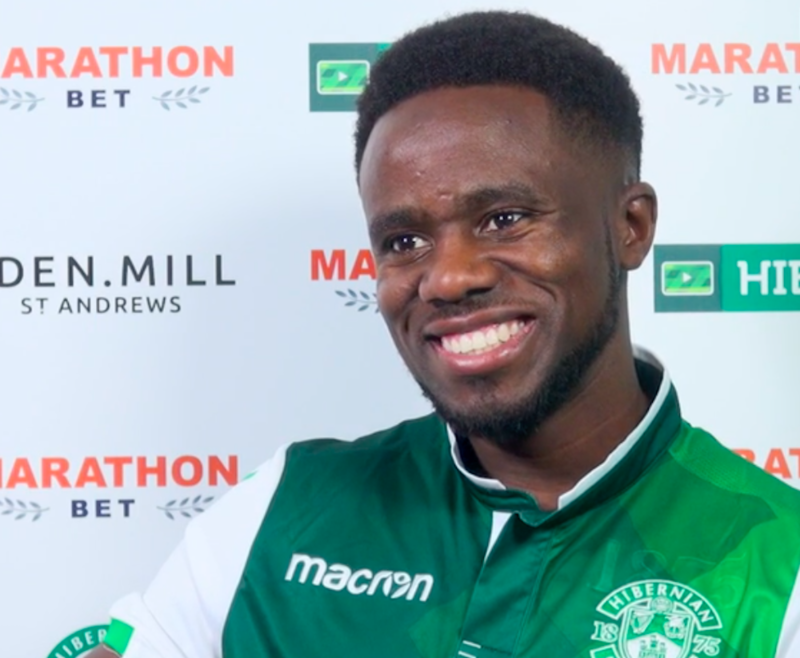 GAEL BIGIRIMANA experienced a hair-raising deadline day after a trip to the barbers was interrupted by the dramatic opportunity to join Hibs. The 25-year-old readily admits he was expecting a serene end to the January transfer window as he prepared to finish the season with Motherwell. However, that all changed when Fir Park gaffer Stephen Robinson phoned him to reveal that Hibs were on the hunt for midfield re-enforcements and had shown an interest. Within a matter of hours, Bigirimana was putting the final touches on a six-month contract with the capital club. “I only found out about it on the morning of deadline day,” revealed Bigirimana. “I was in Glasgow with my wife – she was getting her hair done and I was going to get a cut after her. “Then Stephen Robinson at Motherwell called me and I thought ‘woah! what’s going on here?’ He told me that Hibs were interested in taking me and I was gobsmacked. Former Rangers and Newcastle midfielder Bigirimana made 57 appearances for Motherwell after joining the club from Coventry in the summer of 2017, however he had not started a match in claret-and-amber since being substituted at half-time in a 3-0 defeat by Celtic in December. “I’ve met a lot of lovely people at Motherwell and I have grown a lot as a player and a person,” he added. “I thank God for the time I had there – good and tough times – and this is a new chapter in my life and one I’m really looking forward to. Bigirimana adds to a swathe of options in the engine room for Hibs, with Marvin Bartley, Vykintas Slivka, Mark Milligan, , Stephane Omeonga, Stephen Mallan, Ryan Gauld and, at a push, Steven Whittaker and Daryl Horgan to call upon. Nevertheless, after a bright debut in Saturday’s 2-1 defeat against Aberdeen, the Burundi international is adamant he can add some dig and drive to the Hibees midfield as he looks to compliment a style of play that he has admired from afar as an opposition player. “I like to think of myself as an all-round player,” he told Hibs TV. “I love playing with the ball, I think my strongest attribute is passing and trying to control the tempo of the game and make the other team suffer by chasing the ball. “Hopefully, I can bring that composure to the team, as well as energy and doing the dirty side of the game. It is all about serving the team.